FMM (Franciscan Missionaries of Mary) is an international network for social justice, peace and care of creation. FMM who are involved in different areas of society, see the necessity of collaborating, creating networks, of learning, of being more informed, and of sharing their experiences of justice, peace and integrity of creation. For these reasons, they wish to develop a network to increase and improve their work together. They feel a newsletter will help them connect, share information, receive spiritual ideas, deepen certain pertinent issues, reflect together to better serve others and to take care of our common home. Photo of their Canadian Provincial Assembly. The FMM are dedicated to universal Mission and they live in international communities. This is their first newsletter. Desperate Rohingya Flee Myanmar on Trail of Suffering. Let us pray for an end to this. ​Greetings of peace, my dear Franciscan Family! In our world today, the most basic, powerful, and counter-cultural thing we can do for God's creation is to pray. We live in cultures that values busyness and accomplishments. Following our Creator's call to 'Be still and know that I am God' (Psalm 46:10) humbles us. Prayer is the foundation of all behavior and policy change. Only by the grace and inspiration of God can hearts and minds transform. In this violent and uncertain climate, we need prayer more than ever. Prayer must always be our first action and not our last resort. Today, we remember Saint Augustine, whose mother Saint Monica was diligent in her prayers for her family. May we follow Monica's example to pray unceasingly and fervently. And to do it with great joy! This Friday, September 1st we celebrate the World Day of Prayer for the Care of Creation, a day proclaimed by the Orthodox Church in 1989 and established in the Catholic Church by Pope Francis in 2015. It also begins the Season of Care for Creation which runs into the solemnity of our Seraphic Father, Francis of Assisi. Our Holy Father encourages us to join him, and millions of other Christians around the world, to pray and “reaffirm our personal vocation to be stewards of creation, to thank God for the wonderful handiwork which he has entrusted to our care, and to implore his help for the protection of creation as well as his pardon for the sins committed against the world in which we live.” We also keep in our thoughts and prayers those affected by devastating climates. Attached please find the Season of Caring for Creation Prayers I wrote based on Saint Francis' Canticle of Creation and Pope Francis' Prayer from Laudato Si. I invite you to share with your families, fraternities and communities. I pray that it blesses you and strengthens you. And please share with me your experiences of the Season and praying the prayers. Our National JPIC Animator, Andrew Conradi, ofs, passes on the following resources for the World Day of Prayer for Creation. As followers of St. Francis of Assisi, the patron of peace, we, the Franciscans Friars of the United States join with the many public and religious leaders and fellow-citizens who have condemned the recent violence in Charlottesville, VA.
We hold that all forms of racism, white supremacy, neo-nazism, xenophobia and hatred are wrong. Because we believe that every person is created by God in love, we also hold that disrespect or diminishment of—or violence against--anyone offends not only that person but also the One who created that person. Fairtrade co-ops in Peru, New Campus Standards, and more! View the full magazine now in circulation and available on-line. St Francis of Assisi calls on us to continually begin again as new creations in Christ dependant on God's Mercy and Goodness. Thanks to Br Richard for this reflection. "Why now?" said the novice. "What of the past?" asked the novice. "That is the place of wisdom." said the Master. "What of the future?" said the novice. "That is the place of hope." said the Master. "So what then is now?" said the novice. in each succeeding now." said the Master. "So let us begin; now." Today on World Oceans Day, people around the world are turning their attention to a huge threat to our seas: ocean plastics. Unfortunately, this issue is one that deserves attention every day of the year, but it doesn’t get it. A recent study estimates that plastics will outweigh fish in our seas by 2050. It’s numbers like this that moved a college student from Ontario to start a global movement on Change.org to combat ocean plastics, and encourage his country to take stronger actions to prevent sea pollution. While every day should be a celebration of Fairtrade products, May is Fair Trade Month, a time to come together to celebrate and demand fair deals for farmers and workers around the globe. Consult Fairtrade Canada's digital toolkit which includes an array of resources from social media images and messaging, logos, producers photos and more! Loving God, You who created everything that is good; You who stretch out the heavens like a tent. You have made us for each other. You call us from our isolation into one community of love. Your voice is sure and strong. We come from many places, and yet we are woven together in Your Spirit. Together, we hear the cry of the poor, bearing the weight of injustice. Together, we see the pain of the Earth as her beauty is destroyed. And together, we hear your voice most clearly: Calling us to join in solidarity with our sisters and brothers in need; Calling us to commit ourselves, as Ruth to Naomi saying, “Where you go, I will go. Where you stay, I will stay.” O Lord, stretch the canvas of our hearts that we might make room for the suffering of all humanity, and of all creation. Today, by your grace, we join our lives to those who labour in the fields – those who are weighed down by injustice and those who work to build the world according to your way. Lead us in the way of discipleship – the way of love, of faith, of justice, and of peace – the way that has always been yours. Amen. The humanitarian situation in Somalia is “rapidly deteriorating,” and famine is a strong possibility this year, the United Nations says. 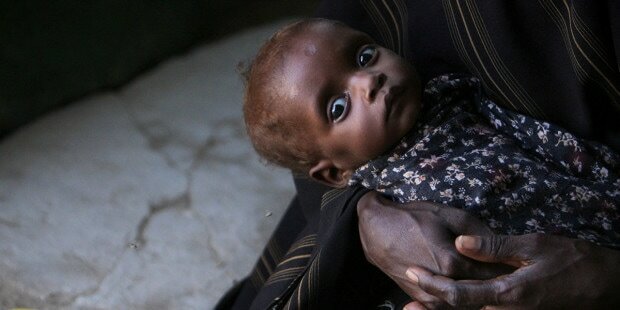 Its statement, issued March 24, echoed a dire warning by the International Committee of the Red Cross that the world has only three to four months to save millions of people in Yemen and Somalia from starvation. How can you counter the fact that multi-national companies in pursuit of profit infiltrate all systems, economic, academic and political? Use the internet and sources you trust! I will only cite three but there are many others. First, Development and Peace-Caritas Canada; second, the Global Catholic Climate Movement and third, MiningWatch Canada. When you feel confident that you understand enough you can then put pressure on corporations and governments by signing petitions. against the building of coal plants in Batangas, Philippines, 17 March 2016. As an example you could sign Development and Peace-Caritas Canada’s petition card (coming this fall) to Prime Minister Trudeau to support small farmers and agroecology. This campaign will be supported by the Canadian Bishops. Sign either the cards you get in church or sign online. You could go to the Global Catholic Climate Movement’s website and become a Laudato Si’ animator and spread the word about the encyclical itself and the Season of Creation which will occur every year. As Ilia Delio, osf has written, some see St Francis of Assisi as “the first [Catholic] materialist” because of the way he looked on the material world -- not for what it is but for how it is -- God’s creation.” As Angela of Foligno, a lay Franciscan, said: “This world is pregnant with God!” And then there is the Jesuit founder St. Ignatius of Loyola who said: "Find God in all things." Seventh and final article in a series of articles by Andrew Conradi, ofs on the 2016 World Social Forum. The first was a general introduction and touched on lifestyle and values, followed by mining, climate, and agroecology. The last three covered why we need to act and what we can do to help bring about the necessary changes to implement Laudato Si’. ​what they’ve done to deny, hide, and muddy the truth. 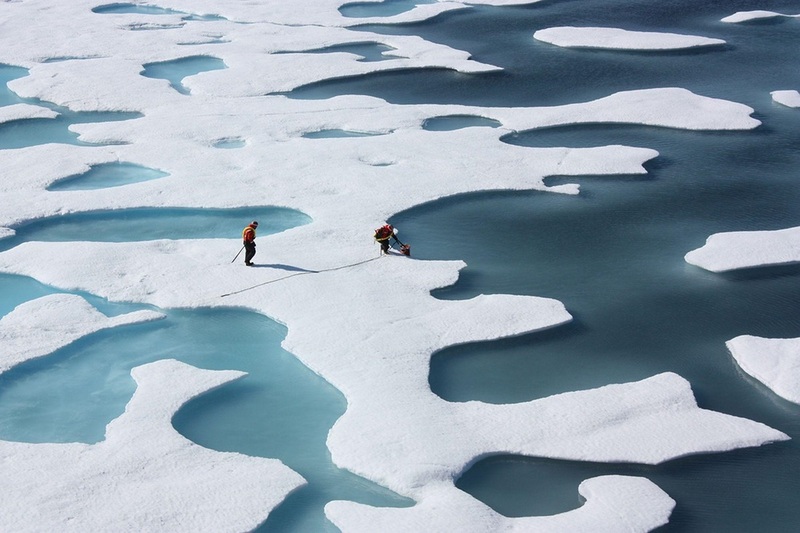 A 70 year timeline of what Exxon knew about climate change and what they did (and didn't do) about it. See the shocking timeline here. 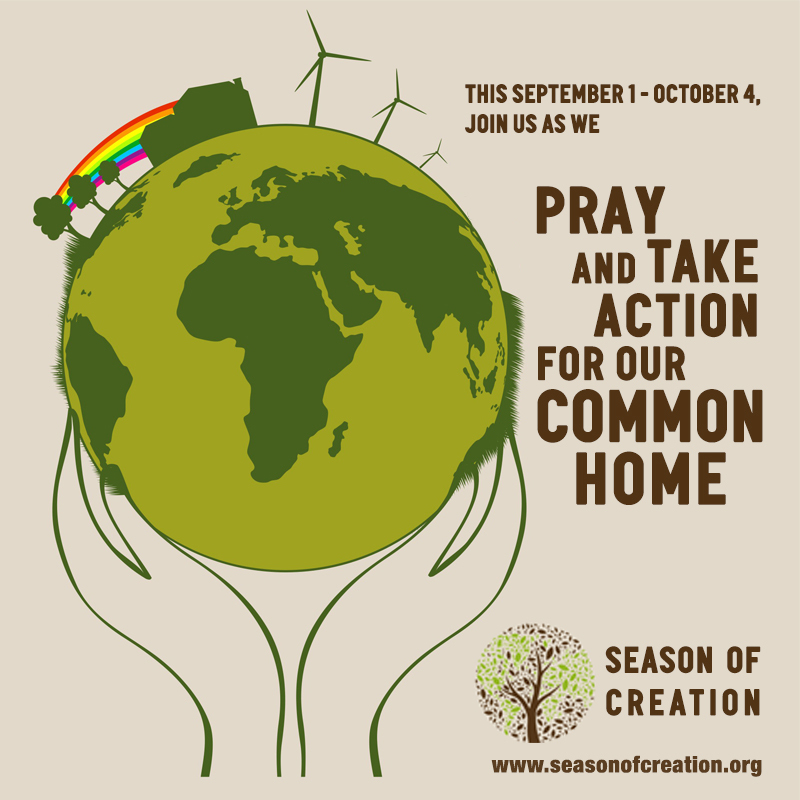 The World Day of Prayer for Creation and the Season of Creation are less than a week away! ".... copy of the letter to Trudeau from mainly Latin American organizations including Franciscans International and some other OFM and Catholic entities. 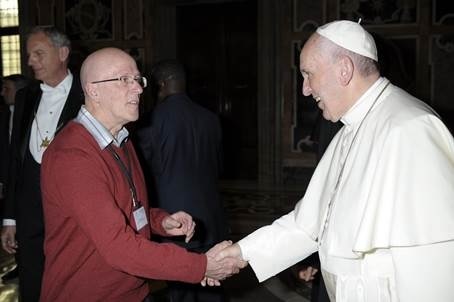 Our own Doug Clorey, ofs, FI President, meets Pope Francis﻿. David Suzuki’s Green Guide cuts away the stress and confusion of living sustainably by breaking down the impact that our complex modern lifestyle has on the environment. Beyond the simple acts of reducing, reusing, recycling, and repairing what we have—here are David Suzuki’s top 12 principles to help you achieve the goal of living sustainably. See the guide. The Newfoundland and Labrador government says it won't look at an application for fracking near Gros Morne National Park until it's satisfied the process is safe for people and the environment. Natural Resources Minister Derrick Dalley made the announcement Monday in the house of assembly. Also see more about fracking from: National Geographics Daily News. The largest recorded earthquake in Oklahoma history was likely triggered by the injection of wastewater from oil production into wells deep beneath the earth, according to a study published Tuesday in the scientific journal Geology. The magnitude 5.7 earthquake, which struck in 2011 near Prague in central Oklahoma, is the largest and most recent of a number of quakes scientists have tied to waste-water injection from oil and natural gas production, raising new concerns about the practice. Also see our Ethical Use of Resources page. "Last week, we raised a $1 million challenge grant in a few days to donor governments to put Syrian refugee kids in school. At a UN meeting, I was able to put a cheque on the table and issue the challenge on behalf of over 40,000 Avaaz donors. UN Education Envoy Gordon Brown, who chaired the meeting, called our community's effort a "magnificent and impactful intervention" in getting other governments to give! " 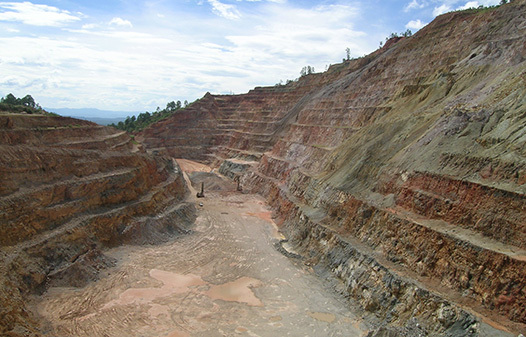 Here is the D&P 2013 Education Campaign on mining and extraction. It includes an action card addressed to Members of Parliament, calling for the creation of a legislated, extractive sector ombudsman in Canada. Supporters of the campaign can sign the card and send it to the Development and Peace office in Montreal (it includes prepaid postage). Development and Peace will present the cards to respective MPs in Ottawa in May 2014.